Welcome to The Shore. This 3 year old building is LEED certified and the suite shows as new. This 1 bedroom offers a very efficient layout with an open floor plan. The oversized balcony on this upper level suite overlooks the Piazza with it's beautiful water feature. The building features a party room, fully equipped exercise room and Yoga studio. Parking and a huge storage locker are also included. 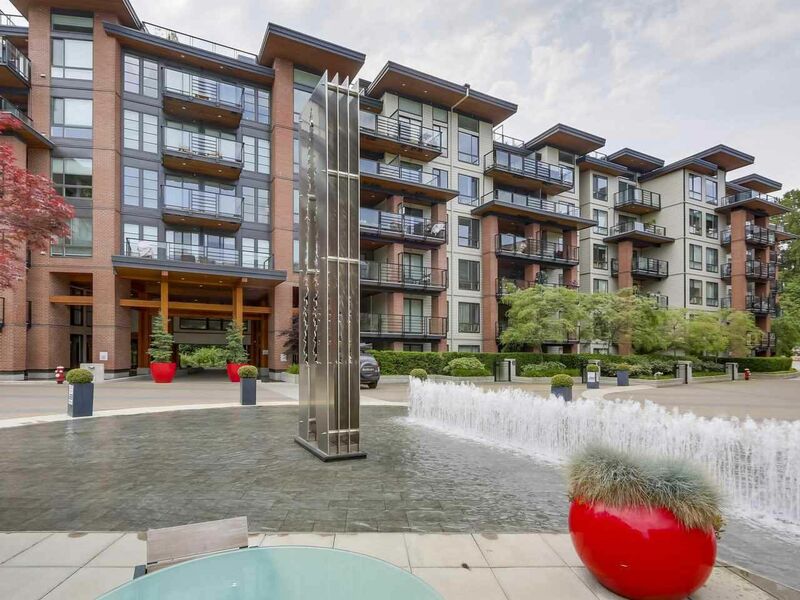 Walk to Capilano Mall, Lower Lonsdale and the waterfront from this ideal location. Investor and Pet friendly. This one ticks all the boxes for a First Time Buyer or the Investor. Act fast on this one! Call for a private showing.